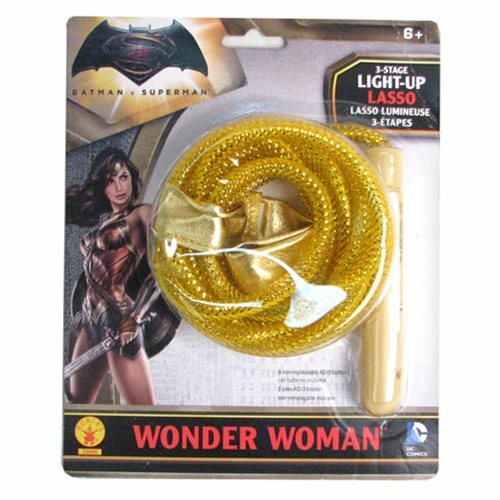 Batman v Superman: Dawn of Justice Wonder Woman Light-Up Lasso of Truth! Lasso measures approximately 9-feet long with a 4 1/2-inch handle. Batteries are not replaceable. Ages 6 and up.